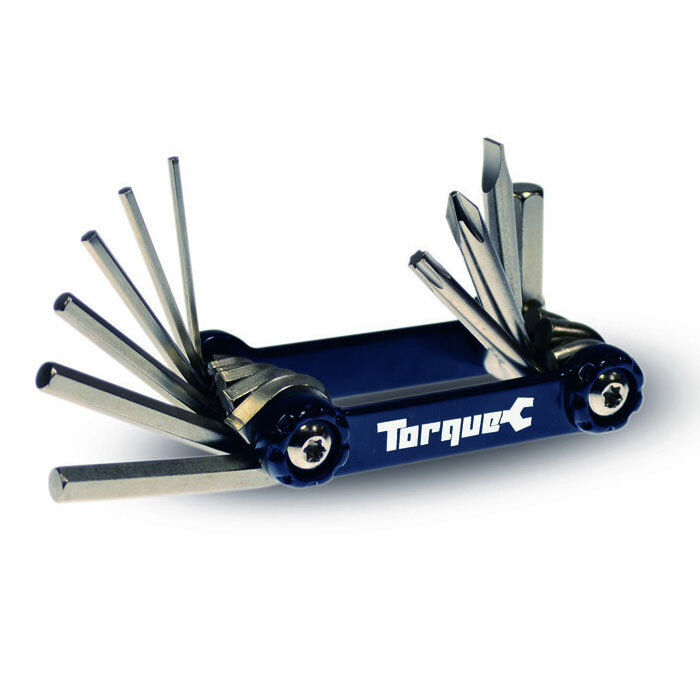 Includes 2, 2.5, 3, 4, 5, 6 and 8mm hex keys, t25 Torx, 5.5 flat head & No.2 crosshead. Compact size for easy stowage. Material: Precision 6061 Aluminium Body, Hardned Chrome Vanadium Tools.